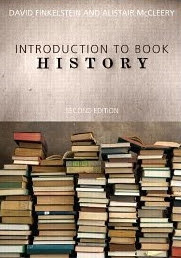 Introduction to Book History has a cover I really love, or I believe any bibliophile will love. Based on a few reviews I read, the book is quite technical. But for a 176-page book, it carries a price tag of USD31.99 or more, and it is indeed quite pricey. A History of Reading it turned out, is quite a popular book it seems. And viewing the preview and book description, it might be a more interesting read compared to the first. But after reading this review by Douglas K. Hartman and Tariq M. Abdulaziz, I decided not to get it. 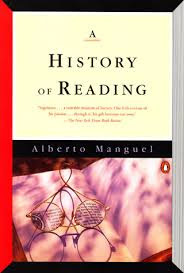 The review says, "...does he have the scholarly dexterity to represent the complexity of reading's past while placing the people, practices, local events, and facts of his and others' personal histories in the larger context? After reading his book, we think not." But God being God - obviously knowing what I was looking for to read, interjected this book into my path. I quickly bought a copy without much ado about it. For one, I was unusually attracted to the reviews of the book printed in the first few pages, and I even found these reviews enlightening, which is rare for me. 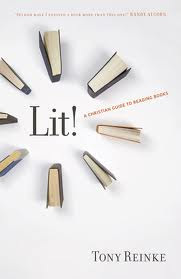 Here is what Andrew Peterson said in his review of the book, "This is the perfect book for someone who doesn’t like to read, or who likes to read but isn’t sure it’s a good use of their time, or who loves to read a little too much and needs to proceed with discernment. Reinke has made a wise, theological, and edifying case for why words matter. I’ll mention Lit! every time someone asks me why in the world Christians should read fiction—a question that never fails to shock me. Now, instead of snapping, ‘Are you serious?’ and spouting opinions, I’ll just smile and slip them a copy of this book." I have just begun reading it and love the very voice of the book. Just listen to this: "Illuminated by the gospel, we now perceive and enjoy God’s truth, goodness, and beauty—whether it’s in the blazing sun of the inspired Word of God, in the moonlight of creation, or in the starlight of great book...As strange as it sounds, our eyes are filled with the Creator’s glory in literature because we read in the presence of God’s radiance." What makes reading books like swallowing a large vitamin? Why should I prioritize book reading in the first place? What do I lose if I don’t read books? What biblical convictions must I have before I shop at the bookstore? Does the gospel really shape how I read books? How so? What books should I not read? Should I read non-Christian books? Why or why not? How can I best read nonfiction books? What, if anything, can a Christian gain from reading fictional literature? How can I determine the difference between good fiction and bad fiction? Where do I find all the time I need to read books? Should I write marginal notes in my books? What are the pros and cons of reading books on an e-reader device? How can I encourage my friends to read books? How can I use books and reading groups to encourage other Christians and to build my local church? It certainly promises a delightful reading, on reading. I look forward to spending my coming days in relishing this book and hope to follow up with a review. I find myself rubbing my hands in glee as I dive in.